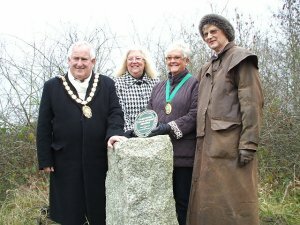 The new Glen Parva Local Nature Reserve was officially opened on 17th November 2010. The 27 acre plot of land in Glen Parva is home to an array of wild flowers and creatures such as the green woodpecker, meadow pipit, dragonflies, butterflies and voles. The move to get the site listed as a local nature reserve was a result of a collaboration between Leicestershire County, Blaby District and Glen Parva Parish Council and was co-ordinated by the County Hall based Stepping Stones Project, which aims to improve green spaces. The declaration was made in consultation with Natural England – an independent public body whose purpose is to protect and improve England's natural environment and encourage people to enjoy and get involved in their surroundings. The move means that the site, which is close to the Grand Union canal and near Dorothy Avenue Playing Field, will be protected from development and the wildlife and natural features will be preserved. It contains unimproved grassland habitat, which is part of what was once a country-wide network of hay meadows and unimproved pasture. There is a link below for a user survey form. We would be pleased if you could complete the survey and return it to the Parish Office. The Parish Council is continuing to work with Blaby District Council and the County Council about the on going management of the Local Nature Reserve site with a view to applying for a Green Flag award in 2014. A team of local volunteers continue to provide valuable support and assistance in this process. Recent works have included coppicing in Holt Acre, path improvement works at Needham Avenue entrance area and a woodland management course. New signage is also planned for the site in order to improve access and publicity. If anyone is interested in becoming a local volunteer or tree warden, please contact Mrs J Small, Parish Council Manager. 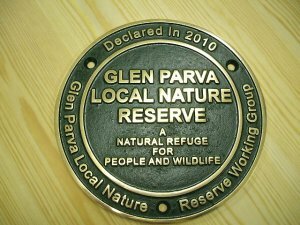 Glen Parva Parish Council is pleased to announce the installation of new signage, benches and interpretation lecterns to the Local Nature Reserve Site. 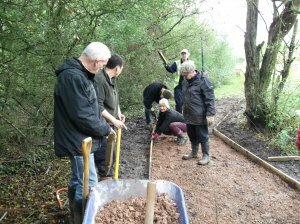 These improvements have been made possible due to the collaboration and partnership working between Glen Parva Parish Council, Blaby District Council, The Stepping Stones Project at Leicestershire County Council and Leicester City Council. The signage includes two new welcome signs, two noticeboards, two interpretation lecterns, two finger posts and two new benches. The benches have been provided by Blaby District Council. The 12 hectare site contains a fantastic mosaic of wildlife habitats from ponds and meadows to woodland and hedges. It is home to an array of wild flowers and animals such as green woodpecker, meadow pipit, dragonflies and bats. With footpaths across the whole site it's a real gem on the doorstep of Glen Parva for everyone to explore. Volunteers work hard to keep the woodland and surrounding area in good order for the public and wildlife. 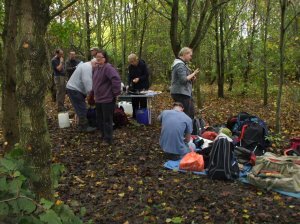 The work of the volunteers includes traditional methods of managing woodland such as coppicing, tree planting, path maintenance and wildflower planting. Different parts of the reserves are owned by Glen Parva Parish Council, Blaby District Council, Leicestershire County Council and Leicester City Council. The Reserves' Working Group meets regularly to discuss the management and joint working and is represented by all and owners of the site. For further information about the site or about volunteering opportunities, please contact the Parish Council on 0116 2771450. Glen Parva and Glen Hills Local Nature Reserve has been named one the best parks and green spaces in the country. It is among a record-breaking 1,476 places to receive a prestigious Green Flag Award by environmental charity Keep Britain Tidy. The national award recognises and rewards the best parks and green spaces in the UK. A Green Flag flying overhead is a sign to the public that the space boasts the highest possible standards, is beautifully maintained and has excellent facilities. Located in Glen Parva the site is home to a wide range of wildlife, provides a green route into the city and a peaceful place for people to walk and keep fit. 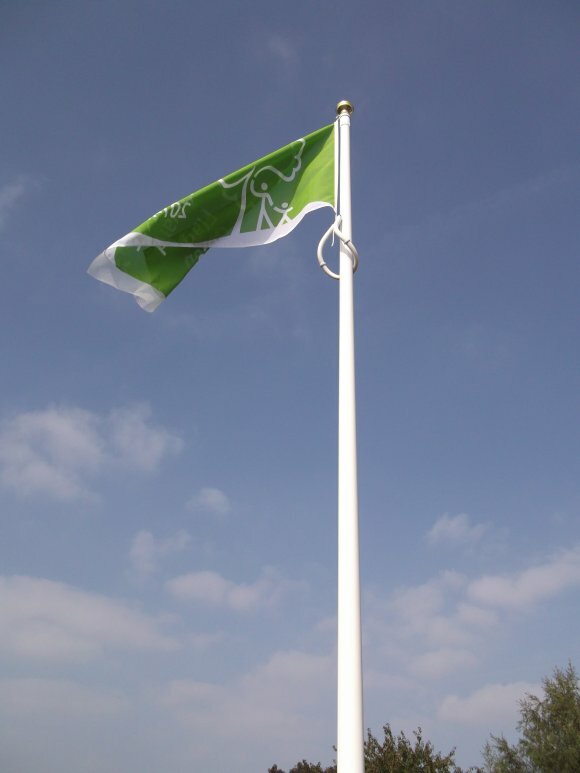 Councillor Sheila Scott, portfolio holder for Health and Leisure Services at Blaby District Council, said: "We are absolutely delighted to receive a Green Flag Award for the first time at this site. This award recognises and highlights that people in the Blaby District are benefitting from a green space of the very highest quality." Jan Martin, Chair of Glen Parva Parish Council, said: "This is a jointly owned site and we owe the Glen Parva team of volunteers a debt of gratitude. The whole site has never looked better and I want to thank Andy Jackson and Sam Village of Stepping Stones for all their help and advice over the last few years, which has culminated in this fantastic achievement." The nature reserve is owned by Glen Parva Parish Council, Leicester City Council, and Blaby District Council, who together have developed a joint management plan to help improve the site. Click the link above to see the frogs and toads that are living in the Local Nature Reserve Area. Glen Parva & Glen Hills Local Nature Reserves in Leicestershire is one of the very best in the UK – and that's official. The Nature Reserve is among a record-breaking 1,582 parks and green spaces that will today receive a prestigious Green Flag Award – the mark of a quality park or green space. This 12 hectare site contains a fantastic mosaic of wildlife habitats from ponds and meadows to woodland and hedges. It is home to an array of wild flowers and animals such as the green woodpecker, meadow pipit, dragonflies, butterflies and bats. With footpaths across the whole site it's a real gem on the doorstep of Glen Parva for everyone to explore. Volunteers work hard to keep the woodland and surrounding area in good order for people and wildlife. 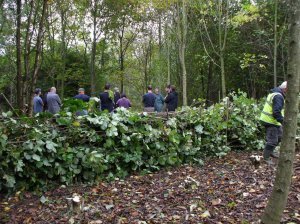 The work of the volunteers includes traditional methods of managing woodland such as coppicing, tree planting, path maintenance and wildflower planting. Mrs Jan Martin, Glen Parva Parish Council Chairman said: "We are absolutely delighted to receive a Green Flag Award for second year from Keep Britain Tidy. "This Award recognises and highlights that people in Glen Parva are benefitting from a green space of the very highest quality. 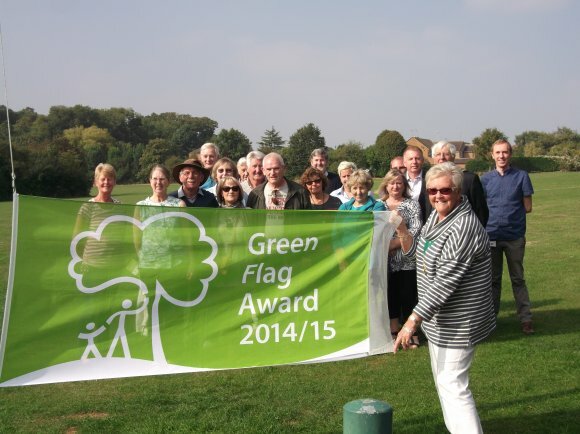 Councillor Sheila Scott, portfolio holder for Health and Leisure Services at Blaby District Council, said: "We are absolutely delighted to receive a Green Flag Award for the second time at this site. This award recognises and highlights that people in the Blaby District are benefitting from a green space of the very highest quality." International Green Flag Award scheme manager Paul Todd said: "We are delighted to be celebrating another record-breaking year for the Green Flag Award scheme. All the flags flying this year are a testament to the efforts of the thousands of men and women, both staff and volunteers, who work tirelessly to maintain the high standards demanded by the Green Flag Award." The announcement of this year's Award winners comes in the same week that thousands of people up and down the country are enjoying Love Parks Week (July 24 to August 2), an annual celebration of our country's fantastic green spaces and the community groups that bring them to life. HTML5 validated. WCAG compliant. Page generated in 0.0814 seconds.